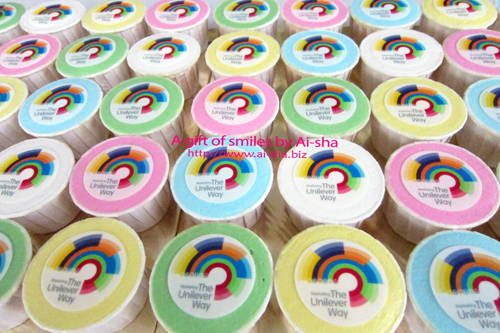 Gifts/Other Occasions Cupcake | Cupcake with Edible Image Marketing The Unilever Way! 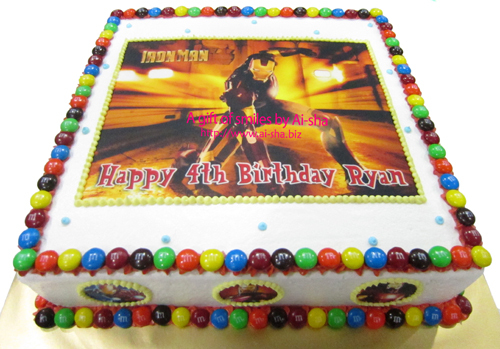 Birthday Cake Edible Image Iron man | Kek harijadi Ryan | Happy 4th Birthday Ryan! 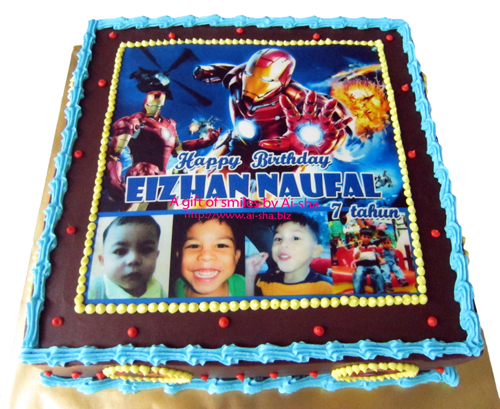 Birthday Cake Edible Image Iron Man | Kek Harijadi Eizhan Naufal | Happy Birthday Eizhan Naufal! 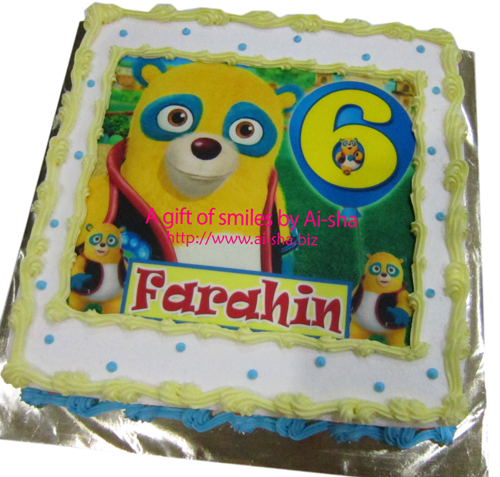 Birthday Cake Edible Image Special Agent Oso | Kek Harijadi Farahin | Farahin 6! 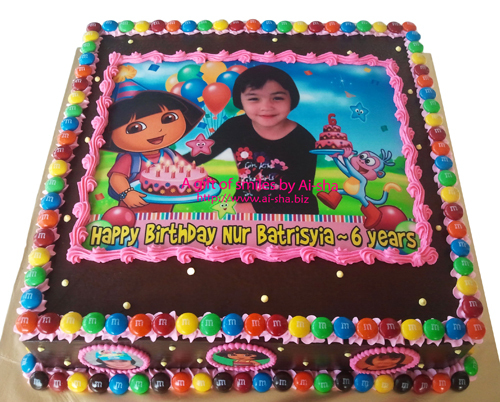 Birthday Cake Edible Image Dora The Explorer | Kek Harijadi Nur Batrisyia |Happy Birthday Nur Batrisyia 6 years! 11" square chocolate moist cake with chocolate ganache frosting ordered by Pn. Mar Diana. 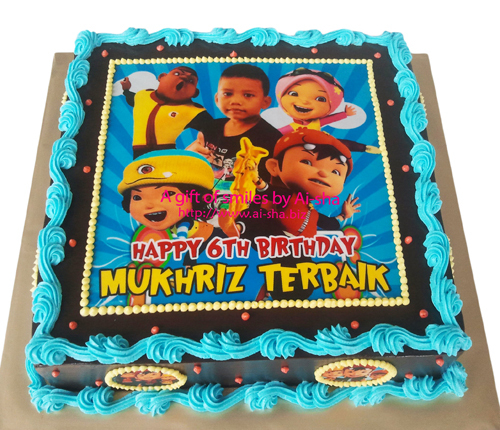 Birthday Cake Edible Image Boboiboy | Kek Harijadi Mukhriz | Happy 6th Birthday Mukhriz Terbaik! 9" square chocolate moist cake with chocolate ganache frosting ordered by Pn. Hasjuna. 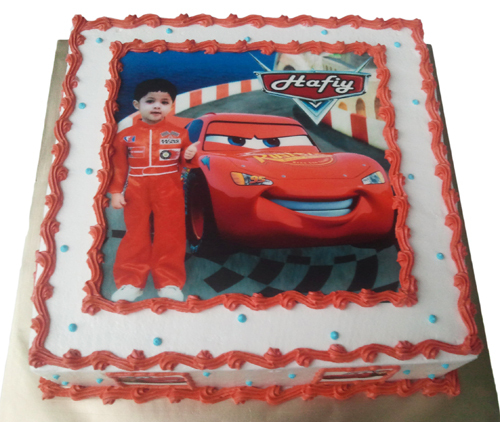 Birthday Cake Edible Image Disney Cars | Chocolate Moist Cake Lightning McQueen | Kek Harijadi Hafiy! 9" square chocolate moist cake with white vanilla buttercream frosting ordered by my sis in law -Sariah. 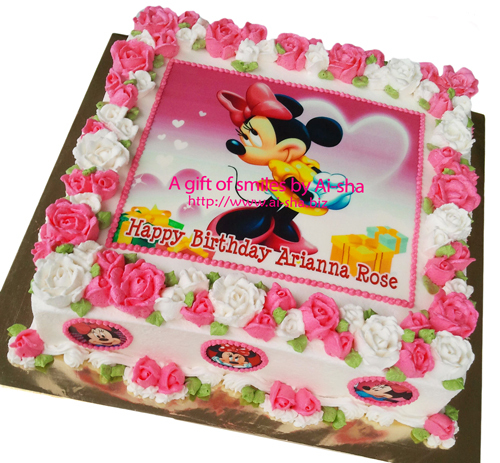 Birthday Cake Edible Image Minnie Mouse | Chocolate Moist cake with Roses Buttercream | Happy Birthday Arianna Rose! 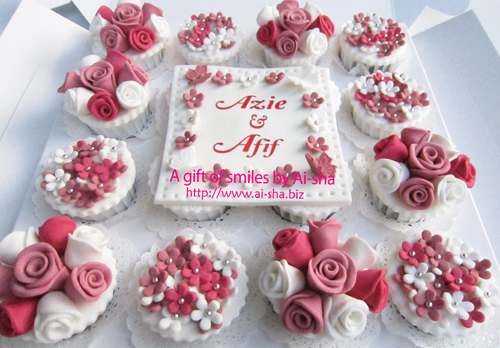 Fondant Hantaran Cupcake | Hantaran Kek Cawan Fondant Azie and Afif! Deco : Sugarpaste Roses and small flowers - Pink Belacan Theme. 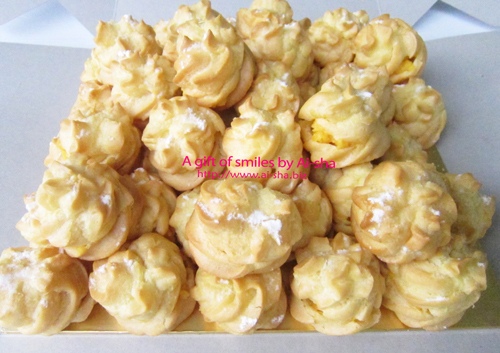 1set of 50pcs cream puff ordered from Zaireen togethrer with a rainbow cake with Jake & The Never Land Pirates. 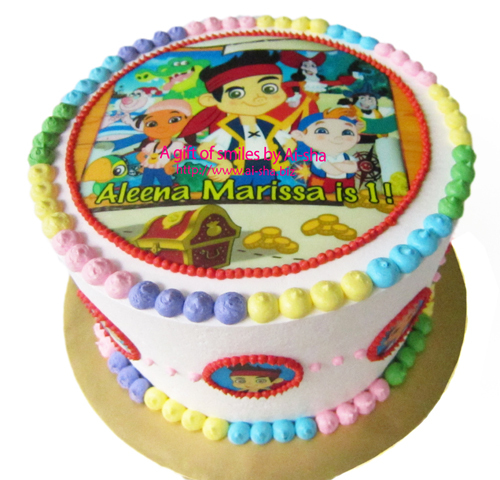 Rainbow Cake Edible Image Jake & the Never Land | Kek Pelangi Harijadi Aleena Marissa | Aleena Marissa is 1! 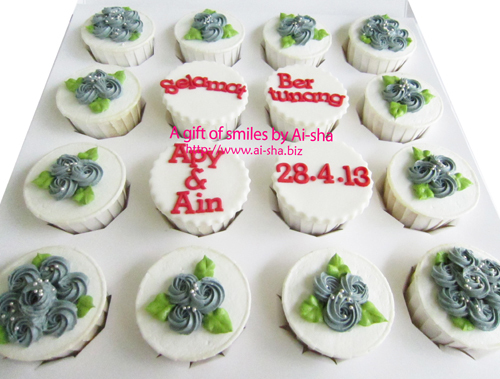 Wedding Fondant Hantaran Cupcake | Cupcake Hantaran | Selamat Pengantin Baru Shiela & Kaza! Deco : Sugarpaste Blossom and Hydrangea flowers - Hijau Lumut & Pink Theme. 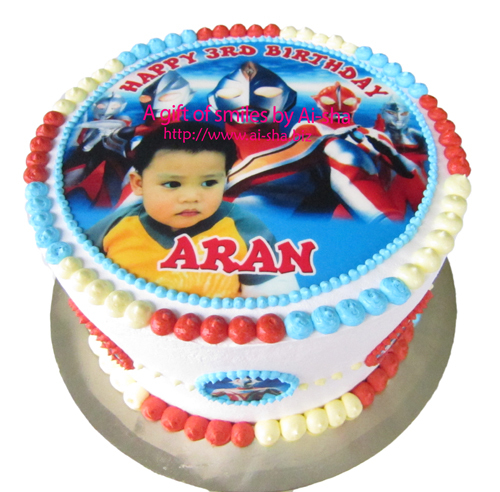 Rainbow Cake | Birthday Cake Edible Image Ultraman | Kek Harijadi Aran | Happy 3rd Birthday Aran! 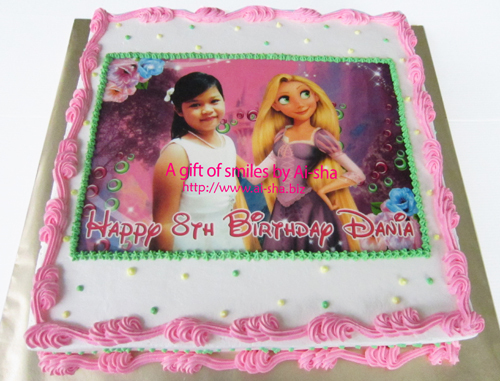 Birthday Cake Edible Image Rapunzel | Kek Harijadi Dania | Happy 8th Birtday Dania! Birthday Cake Red Velvet | Kek Harijadi Baldu MerahHadif is 2,Opie is 12! 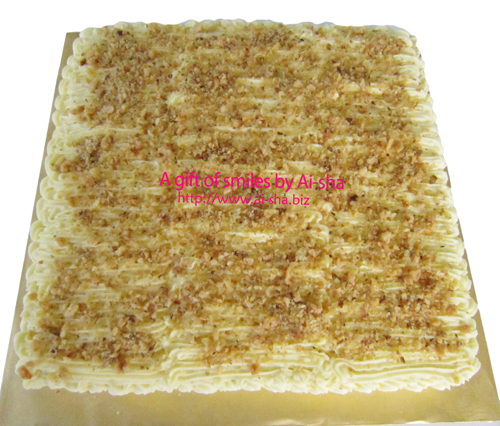 9" square red velvet cake with special cream cheese frosting - simple deco untuk makan-makan. Buah tangan untuk majlis harijadi Hadif & Opie - my neighbour at Taman Tenaga. 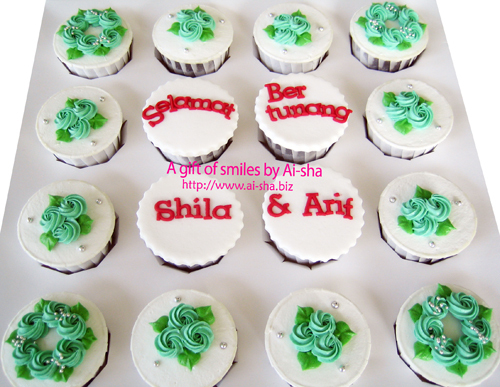 Engagement Hantaran Cupcake | Kek cawan hantaran | Selamat Bertunang Shila & Arif! 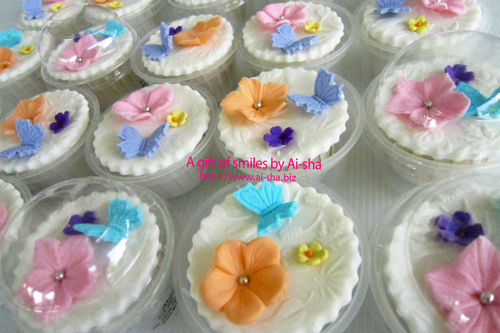 16pcs chocolate cupcake untuk hantaran pertunangan ordered by Hamidah. Simple buttercream deco with fondant letters. Red Velvet Cake | Selamat Pengantin Baru Najib & Nadia! 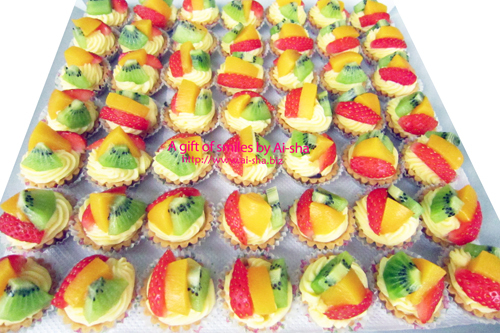 Engagement Cupcake | Selamat Bertunang Apy & Ain !